Select News Article Mark our decade of success with Peter HickmanThis Girl Can Box v ItalyWhy pay more online?Opening Hours over Christmas & New YearOil Prices High? But It's 30 Degrees Outside!FPS Fights Fuel Poverty In The Midlands With FundsOIL is still one of the cheapest fuels to heat youRising oil prices lead to more pain at the pumpProduct Grade Switch OverEaster Opening TimesAll hands on deck!Poppy Appeal 2017Nolan Oils helps fuel Santa's Sleigh!OIL is still the cheapestOpening Hours over Christmas & New Year 2017HEATING WITH LIQUID FUELS127% more expensive than heating oilOIL is still the cheapestNolan Oils - Supplier of fuel to Flywheel 2017Our Easter opening timesMerry Christmas from Nolan OilsAutumn Statement - November 2016Santa's SleighMARKED GASOIL BS2869 CLASS A2: WINTER RECOMMENDATIThe EU Referendum Leave ResultIT’S OFFICIAL HEATING OIL IS THE CHEAPEST FORM OF Oil prices have been at a 12 year low but are creeNew VED road tax rules in 2017FALLING OIL PRICES ARE BRINGING JANUARY CHEER TO ROil Price Falls FurtherOPEC is at warBuy Oil Early CampaignOil-fired homes – the clear winnersGovernment cuts solar tariffs'Green' biomass boilers may waste billions in publOil Heating Is Cheaper Than Gas Says Independent SOil heating cheaper than mains gasCheaper heating bills for oil householdsLatest data reveals oil is a winner for home heatiOil - the only heating fuel where prices have fallFalling oil prices...Nolan sponsors teenage female biker, Georgina PoldResearch predicts oil price drop will continueLatest Data Reveals Winners In Home Heating Are HoA new venture for Nolan OilsNolan Oils upgrade to EAP Tanker Loading PackageAdvertising Standards Agency for Ireland upholds rMen charged after diesel siphoning equipment foundAutumn Statement 2013Freezing weather to last until MarchOil distributors aim to raise industry standards wSudden Cold Snap Set To Bite BritainBritish Gas Raise Prices by 9.2%Worst winter for decades...FPS EXPO 2014 Already in Planning StagesJuly Newsletter and OffersWorld Superbikes at Silverstone, 2nd to 4th AugustNolan Oils April NewsletterFuel bills will keep rising warns energy watchdogThe Week in Commodities: Oil ClimbsOFT fuel investigation report is publishedGovernment Renewable Heat Incentive will increase Charity Fireworks SpectacularSSE to Raise Prices by 9%Brackley Festival of MotorcyclingImpending Increase in the Cost of FuelNolan Oils Supporting Local EventsOil heating is more competitive3 million pensioners back the campaign to scrap FuUnite vote extended to May 21stVAT on household fuel must be scrapped as hypotherGovernment under fire over latest tax avoidance scNational Fair Fuel Day: 7 March 2012Government decides to keep existing MOT frequencieIndustry survey on obstructive sleep apnoeaLaunch of Logistics Carbon Reduction Scheme SecondCoryton job fears after owners, Petroplus, go bankOil Theft Advice December 2012Fuel Duty Increase DeferredTheft of Diesel - BicesterRenewable Energy Directive - DfT ResponseNolan Oils are Supporting Bicester FireworksOFT - "No evidence of a competition problem iOFT Off-grid Energy MarketPress Release - OFT Off-grid Market StudyNolan support the Breast Cancer Care Show 2011Bradley Smith at the Brackley Motorcycle FestivalOil Market NewsPhotos of James WalkerPetrol is currently around 6p a litre less than itSecurity of Fuel Stocks and Fuel CardsOil heating remains competitiveWALKER WINS ON LE MANS SERIES DEBUTBudget Overview - March 20112011 Fuel Duty Rates from 23 March 20111st XV through to Quarter Final of National CupTougher drink and drug driving enforcement plannedProposed route of high-speed rail lineWARNING - Bogus Oil TankerFederation of Petroleum Suppliers Statement re: OFHelping the communityTractor Pull!NEWS RELEASE - Winter rush for heating oilOil and gold have climbed to record highs.Will the new EU directive on Late Payment change aDuty Rates - 1st October 2010NOLAN FUELS SUPPORTS ALCHESTER RUFCPETER HICKMAN - SILVERSTONEPETER HICKMAN SECURES BACKINGHighest Oil Prices for 17 MonthsSnow ScenesOFTEC SAYS LOW SULPHUR FUEL IS SAFEHappy 21st Nolan OilsNolan Oils Wins National AwardTriple podium for Mason in Superbike season finaleRed or White DieselPolice warn of Heating Oil TheftsCrude Oil PricesMarket TalkHeating Oil Thefts - Stay Alert! 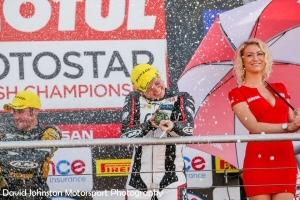 Georgina Polden is a young British female biker who made her mark by becoming the first female rider to win a Aprilia Superteen Challenge race. 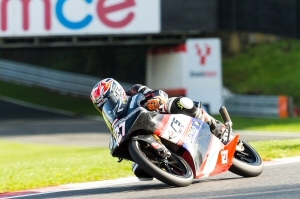 She went on to win four races in the series and finished second overall. Georgina is sponsored by Nolan Oils.